Figure 1.--Sailor suits were one of the most popular outfits worn by boys. Some were could be quite fancy. The boy here is Hugh James. He was 5 years old. Click on the image for a better view of his curls. The topics section is of course the heart and soul of HBC. It is here that we archive the information that we have collected on boys' styles and fashions over time. This section includes the major subject heading on activities, countries, chronologies, garment styles, and much more. Please read the introduction and then pursue what ever topic may interest you. We occasionally add new sections to this list as HBC grows and expand. Do let us know if we have over looked any topic of importance. Introduction : Expanded introduction describing the fashion trends for boys over the past 500 years. Historical clothes for boys will seem remarkable to the modern parent and child. Even the most fashion conscious mom will marvel at the elegant brocades, lustrous velvets, silks, taffetas, printed, striped and flowered cottons, and laces from which boys' clothes were once made. Activities : A review of the clothing associated with different activities or outings. Detailed information is available on costumes and uniforms worn for sports, choir, dance, music, school, and sports. Other sections provide information clothes worn at or for home, camp, games, the nursery, parties, dinners, games, park outings, beach vacations, and much more. This is an important and growing section of HBC. Advertisements : Some interesting glimpses of period clothing can be seen through advertising. Perhaps the first is the famous Pearls soap ad of the boy blowing bubbles, but over time there have been many more. Actual clothing ads are in catalogs and magazines here we archive images where children's clothing can be seen in products for other products. This is a section that we have just begun to develop. Artists : Some of the best information about boys' fashions in the years before photography and fashion magazines were paintings. Luckily lucrative commissions encouraged artists to give great attention to portrait painting, including many family scenes after painter began to shift away from primarily religious representations in the 15th century. We have also dine some work on illustrators. Our primary focus has been on individual artists, but we are gradually cross indexing the individual artist pages by country, chronological period, and style. Biographies : Biographical details about the boyhood clothing of many famous individuals. As these are known individuals the available images are dated or can be easily dated and thus especially helpful in establishing the chronology of the fashions worn. This section needs much more attention and is just a beginning at this stage. Perhaps you have details on an individual of special interest to contribute to HBC or care to suggest an individual that should be included on our list. There are specialized biographical listings for actors, artists, authors, illustrators, photographers, and popular entertainers. We also have a separate section for ordinary individuals whose lives were unheralded. Catalogs and Magazines : Store catalogs provide a vast amount of information about styles, materials, ages, colors, and more. This is very useful in interpreting fashion trends as unlike the photographs, the catalogs are generally dated. Fashion magazines also offer a great deal of information. The information is useful in assessing trends as well as dating old photographs. we had initially though of creating separate chronologies for advertisements, catalogs, and sewing magazine, but we have now decided to create a unified chronology. Children in History : Children are not generally associated with history and great events. History of course is not just a series of great events. Even so, it is children which are often most affected by those events. Not infrequently, children have played important roles in shaping those events. This is another new section which we are just beginning. Do let us know if you know of a historical child who should be mentioned. Chronologies : Review the evolution of boys' clothing styles over the past five centuries with a special emphasis on the period after 1800 up to modern days. Fashion changes moved glacially in earlier centuries. Specialized children's clothes did not become an accepted convention until the late 18th Century. We have not given this section a high priority in the early phase of building HBC. We plan to eventually go back and use dated images in other HBC sections to help build out chronologies. In particular we will draw on the "Art" and "Catalog and Magazine" sections to help expand our chronological pages. Climatology: Climate has affected both history and clothing in many ways. Some argue that changing cliate was a factor in forcing primates down from the trees, out of the forest and on to the African savanah resulted in the development of bipedalism, the destinctibe characteristic of homonoids. We now know that homonoids developed bipedialism before they emerged from the forest as a result of the 1994 discovery of Ardi (Ardipithecus ramidus) in Ethiopia. [Science] Ardi has been dated as 4.4 million years old. this is a million years older than Lucy (Australopithecus afrarensis). Historians in recent years have given increased attention to climatology. The most obvious of course is the Ice Age which created a Bearing Sea land bridge to the Americas. Historians are finding climatic links to other major events such as the fall of the Romasn Empire and the plages. On recent years there has been increassing attention to the Little Ice Age. Climate has affected major military campaigns such as Naoleon's invasion of Russia (1812) and the World War II German invasion of the Soviet Union (1941). One wonders how Hitler who considered himself a military genius was suprised that it got cold in Russia during the winter. Climatolgy is now at the center of the climate change debate. Climate has also affected clothing. One major impact on clothing is utlity. While fashion has other iunfuences, the first major influence was utility, protection from cold weather. And this protective clothing enavke humans to populate nearly every corner oif the globe. While the other influences such as fashion have become increasingly important, climate continues to be an imprtant factor. A new development is sun-safe clothing. Clothing Technology : The information on cloth does not relate specifically to boys clothing. An understanding of cloth and textiles, however, is important in assessing clothing developments. As a result, some basic information is provided on fibers, cloth, fabrics, dyes, and textiles. Other topics such as clothing technology and fasteners is considered here. Another key topic is the care and washing of clothing which until the early 20th century had a major impact on clothing trends and conventions. Clothing Styles : A review of major clothing styles and boyhood memories. Boys have been dressed in innumerable different styles over the past 500 years. For most of that period boys simply wore smaller versions of their parents clothes. Little boys and girls were generally dressed alike in nearly identical dresses to their mothers until the boys were "breeched". Specialized boys' clothes did not begin to appear until the late 18th Century, but by the 19th Century, boys were wearing many varied styles. 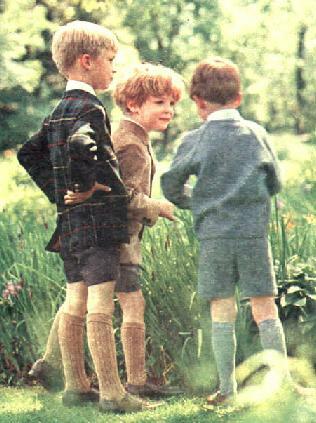 Figure 2.-- Small boys commonly dressed up in blazers or sport jackets with short pants and kneesocks, although it was becoming less common in the 1960s. Color: Color is a topic of some interest in fashion and clothing. There are also interesting eoconoical technical aspects. Dyes were valuable trade goods in the anicent world. Scientific advances in chemicals during the 19th century made available a wide-range of color dues which affected the use of color in fashion. Curiously many of these colors came available just at the time when the fashion wold was emerging from the standard black of the mid-19th century Victorian era. HBC has not yet seriously addressed the subject of color in fashion. It is, however, an important topic that needs to be addressed in some detail. Costumes : Children of all ages enjoy dressing up in costumes. This has been especially popular on Halloween which was initially a children's event. At least in America this has become increasingly popular with adults. Of course, younger children enjoy playing in costumes even when there is no special occasion involved. We have noted costume balls to be popular events for adults in the 18th century and probably earlier. Country Pages : A review of clothing styles and trends commonly worn in different countries. There are over 40 individual country pages currently available, although some are at this time only minimal introductions. We hope to add additional countries as HBC develops. Quite detailed information is available on some countries, but only minimal information on other countries--even important countries like Italy. We encourage our readers to contribute information and insights about their country. Only in this way can HBC expand it's understanding of international trends. Please let us know if you have any information on additional countries. Disease and Health Issues: Disease is not a topic that has commonly been treated in detail by historians. Some historians have begun to give it more attention. Here Jeremy Diamond's Gun's, Steel, and Germs has powerfully persued the importance of disease in history. The modren threat of both bio-terrorism and the rapid movement of disease vectors as a result of modern communications has drawn further interest in the subject. We now know that the plague had a huge impact on modern Europe. We also know that smallpox and other diseases virtually wide out Native american populations. The topic is of some interest to HBC, both because of its important historical role, but also because of the role children have played in deceloping cures. One other interesting topic is the development of polio in the 20th century and the huge impact it had on children. Economics : HBC is primarily a history site. Marxists would say that economics fundamntally drives history. HBC believes that this is a gross over simplification, but of course economics is a powerful force that affects history. As a result, we will create some pages to address major economic trends such a feudalism, slavery, the industrial revolution, child labor, the depression, globelization, and other developments. Economics is especially importnt to HBC as theproduction of textile has been a major economic activity since the dawn of civilization. Events : There are several important events in the lives of boys. Many of these events have been associated with distinctive costumes or dress styles. This changed somewhat in the late 20th century as casual styles became increasingly prevalent. This section is just at a beginning stage, but is an important one which we hope to expand. Families : HBC of course is designed to collect and archive information on clothing. We have decided, however, that many decisions on clothing are made or strongly influenced by the parents. The increasing influence of children over the clothes they wear is, im part, a reflection of changing family patterns and the weakening of parental authority. The family is a key institution that needs to be better understood if we are going to fully access clothing trends. This is another important section that needs to be expanded. Feminist Issues: We focus on children in our website, but a range of feminist issues touch upon children. This is especially the case as women in most countries are primarily responsible for child care. Even in Western countries most affected by the Women's Movement, it is women that are primarily responsible. Thus we want to assess the history of feminism. And the mother-child bond since the evolution of humans has been one of the most critical, if not the single most important relationship, in a child's life. As a result we want, to discuss some of the feminist issues here. One of these critical issues is is violence against women. Here we are developing some country pages. Another important issue is abortion because of the millions of lives which are being terminated. And one women's groups for unknown reason do not address is the rapidly increasing number of children being born out of wedlock. Gender : Clothing and hair style are strongly associated with gender. There are also strong gender conventions associated with colors and names. These gender conventions vary over time. At times they have been so rigid that those individuals who dared stepped over the line separating the genders might forfeit their lives. The great horror historically was women dressing as men. This was the reason the great icon of French patriotism, St. Joan, was burned at the stake by the dastardly English. In the 19th century the great obsession was women daring to dress as men. This changed in the 20th century. Geography: Since greade school I have been fascinated by geography. Geography is not an easy disipline to define. The basic definition is smething along the line of the study of the aerial differentiation of the earth's surface. People from ancient times have written about geography. Only since World War II, however, were plate tectonics understood which are the primary mechanism of gepographic change. What originally attracted me to geography was the vast physical and human differences around the world. Only gradually did I become aware of how important geography was in so many aspects of human endevor. This has included both history and clothing, the two major aspects of our HBC website. Geography has affected much more, including economics, climate, and cultural development. It has also affected human physiological development which left Native Americans dangeously vulnerable to Old World diseases. Many HBC pages touch on geography and we want to create a page to help HBC readers interested in geography find the pages we have developed. Getting Dressed: The great majority of images on HBC are single shot portraits or snapshots. We have a few sectiins where we have a set of images on the same boy or family to see how fashions varied over time. What we do not have, however, is how the various garments intereacted with each other. Getting dressed is a relatively simple matter today. Earlier it was more complicated. Children might wear buttin on clothing. There were also undewaists to hold up pants and stocking supporters to hold up long stockings. Underwear also used to be different and without central heating a more important part of a child's wardrobe. We thought it might be useful to look at hypothetical families from different countries during different decades. We have begun sections on America and Germany. Girls Clothes : HBC has received so many request by readers for information on girls' fashions that we have decided to provide an index of pages with images of girls' fashions. We had hoped that someone would launch a sister site so to speak. While we do not have the time to pursue the styles involved in detail, the images illustrated may prove helpful to readers. We welcome reader comments on the styles illustrated. We would also welcome a partner to help develop this important section in much greater detail. Hair Styles : Hair styles are not clothing per se, but they are an important element of fashion. Many garments and eras are associated with specific hair styles. At times boys have had their hair shaved or worn "bowl cuts" that mothers could undertake in the kitchen. 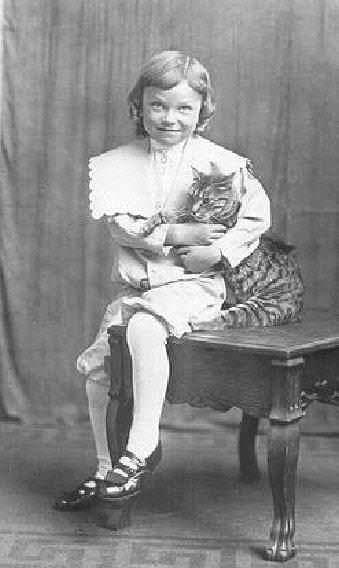 Ar other times boys have worn elaborate styles like ringlet curls. An understanding of hair styles is necessary to follow the historical evolution of clothes and fashions. History : HBC is at heart a history site. While our focus is on fashion and issues surrounding children, we touch on a wide range of historical topics. As a result we think it important to discuss the major threds of history and especially how children have been involved and affected. This is something that is often neglected by historiasns and something my students would ask about when I was teaching. We note certain recurrent themes in history. Perhaps the most consistent over time is that major world powers have almost always seen themselves as God's chosen people and the center of the universe. There have also been various basic approaches and methods of interpreting history. Here we are just beginning our assessment. Do let us know if you have any insights or know of major historians that we should mention here. Also we see the images we are archiving as little historical documents and we hope that historical and other researchers will use HBC the HBC archive as a source in their research. Human Nature: Human nature is a term which refers to the intrinic distinguishing characteristics of humanity apart from culture. We know that adukts behave differently affected by the cultures in which thy were raised. Infants could theoretically be placed in any culture and do perfectly well despite their origins. This is a much more complicated topic than it may seem because some critical human behaviors such as language are believed to be learned at critical age periods and once missed the ability to learn lanuage is greatly impaired. This means that human nature can not be completelty separated from culture. Man has evolved to be a cultural being and thus culture is an essential part of human nature. This can be seem in feral children. The subject of human nature has been one which has fascinated man from the dawn of civiization. A wide range of issues emerged besides trying to separate intrinsic behaviors from culture. Issues include what intrinsic behaviors are, what causes them nd how they are transmitted, and how fixed human nature is. These questions are among the oldest and deepest questions in philosophy. And for most of human history, they were considered before the modern science of genetics and DNA were understood. The answers are, however, are not just theoretical, phuilosophical musings. They have vast implications in ethics, politics, economics, child rearing, theology, and ther areas. Human nature has been seen as both a justification for norms of conduct as well as presenting obstacles on living a good life or building a society. The Enligtenment ebraced human nature and idealized the nobel savage. This is seen in the American Declaration of Independence. Marxism takes a different approach. The Soviet Union sought to supress human nature an remake citizens as the new Sovietb Man which was a major reason the Soviet Union failed. Institutional Wear : The institutions which have cared for children include both schools and charity institutions. Schools are the most important institutions of course. Children in several countries have worn uniforms to school. There are many different types of schools with a wide variety of uniforms and dress codes. Charity institutions including work houses and orphanages have also often employed distinctive clothing styles. Law: The history of law is essentially the history of civilization. Even primitive socities have law, although they are not written down. They my be largely traditions. As more sphisticated socities developed with the advent of agriculture, an actual legal code was required to resolve complicated legal questions concerning business and property. The Babylonian king Hamarabi finally made the first step toward a written code. This was a huge step as law based on a written code was less arbitrary and more fair to all concerned. One of the great gifts of Rome was that of law. Roman law played a major role in the eventual emergence of the West. The classical tradition was lost for centuries after the fall of Rome. The Islamic legal system or shria based on the Koran was in the 7th century a progressuve development. The problem with Islamic Law is that Muslims see the Koran as God's final relevation to man and beyond question. Thus with a medieval foundation that can not be questioned are amended, there is an inflexibility in Islamic law making adjustment to the modern world difficult if not impossible. . Emerging from the European Medieval era was English common law, England's great gift to America and its other colonies. English common law was a necessary comcomitant of capitalism which allowed the West to create the modern world. France had nothing like English common law. Louis XIV famously said, "I am the state". Napoleon is one of the great military geniueses of all time and committed to autocracy, but his great achievement was the Code Napoleon which for the first time presented France with a modern legal system. The importance of law is often forgotten in our modern world, but there is a strong correlation between economic prosperity and the ruke of law. Literary Characters : Costumes of major boyhood literary characters are addressed here. Most of the more famous boy characters appear to be English or American. Hopefully or visitors from other country can provide information on boyhood literary characters for this section. Also included here is information on the illustrators who have worked on these books or produced commercial illustrations of the characters. This is another section we have just begun to work on. Nationalism : Nationalism is a powerful concept which has had a huge impact on modern history. At times it has had racial connotations, but this has not always been the case. Under the Fascists in the 20th century it took a particularly virulent turn. We have noted several instances of mixed national background and the struggles associated for the children involved. Some Europeans in the 19th and early 20th century looked down on America for its mixed ancestry wondering id this constituted the basis for a true nation. Patterns : HBC has wanted to begin a section on patterns for some time. Very little information is available at this time. HBC believes that patterns first appeared in magazines during the late 19th century. I'm not sure just when companies like Buternick began marketing them. Patterns for boys' clothes were never as common as for girls and women. Mothers seem to have enjoyed making girls' clothes more and girls generally more willing to wear stylish clothes. Photos/Publishing : information on the photography and publishing providing background on the dissemination of fashion information. A wealth of invaluable information is available from fashion magazines which in the 19th century not only provide details on fashion trends, but invaluable drawings. Commercial photography appeared in the late 1830s and offered exact images of a wider and wider social cross section. This is an important background section of HBC as so much of our site is based on assessing the photographic record. Presidential Pages : A new U.S. presidential site is one of our satellite sites and currently under construction. It includes information on presidential boyhood clothes are the fashions worn by presidential children. These pages are not yet ready, but interested contributors can request initial access from the HBC Webmaster to have a look around. The price of admission here is a boyhood image or written information about presidential boyhoods. Race: Race has at time been a powerful force in history. Race has been a major factor in American history. America is a multi-ethnic society. Other countries like Japan have a more homogeneous population. The prominence of the Civil Rights Movement in America gave maby the impression that racism was an American phenomenon. We note, however, that racism has played a prominent role in non-Western counties as well. The impact of racism has varied. In some countries it has been subtle. In other countries like NAZI Germany it was overt and eventually deadly. Religion: Religion is an organized set of beliefs explaining the cause, operation, an purpose of life and the uiverse. The development of religion is on e of the distinguishing characteristics of bandkind. Most religioins have associated moral codes. Religion has been a major force in history. It is unclear at what stahe in human history religion developed. Early religions were normally animistic and polytheistic in nature. The adoption of monotheism is seen as an advanced important stage in human development. Religions involve ritual and devotional behavior . Distinctive clothes and costumes are adopted by many religions. Reenactment : Historical reenactment is an enjoyable and increasingly popular activity for many. While interesting, the costumes the boys wear have to treated with considerable caution as they almost always are made recently and not vintage clothes. Usually they are made by well-meaning mothers who are not very well informed about actual historical styles. The cost of accurate reproductions is another factor as well as the fact that some boys may not like some of the historical styles. In this regard, girls are often more willing to wear accurate historical styles. Royalty Pages : A review of clothing styles worn by European royal families. The royals were often well-photographed and provide good indications on stylish children's clothes. Information is now available on the royal families in over 20 countries and many other principalities. The pages are not at this site, but click here for access information. The royalty site is one of the HBC satellite sites. Regular HBC contributors qualify for free access. Science: An important topic is modern science in the making the modern world. Quite a number of issues need to be considered. Science has prevented and cured disease as well as revolutionized the world's economy and productive capacity, allowing large numbers of people to lead comfortable lives for the first time in history. This of course is obvious. Less obvious is the image of modern science. When we began teaching school, I was surprised to find that science was among the least popular subjects with American students. I was suprised at this because as a boy I found science fascinating. We are not entirely sure why this was, but suspect teaching methods were a factor. Another observation is the image of science among young people. Given the fact that scientists and inventors played a major role in building modern industrial states, you would think scientists would have very positive images. But this is often not the case. Here we suspect the popular media is a factor. To the extent that scientists appear in cartoons, movies, and television--the "mad" scientist is a very common character. Another factor is religion which sometimes see science as a threat. Seasonal Wear : Some clothing styles are very seasonal in nature. Short pants are today mostly associated with casual warm weather wear. Likewise heavy coats and sweaters are associated with cold winter weather. Some basic seasonal innovations such as short-sleeved shirts are relatively recent innovations. This has been more common in the 20th century as rising incomes have permitted larger wardrobes. This is a section HBC has not yet been able to focus on extensively. Social Class: From time immemorial human scociety has stratified ifself. Social hierarchies were present in hunter-gathering society and became much more prevalent with the development of agriculture and civilization. Only in our modern age has human society began to seriously address the issues of class with yet limited success. Any assessment of clothing and fashion should include all srata of scoiety. And until modern times the lower strata of society were by far the most numerous. This presents a problem for HBC because the availacle imagery often focuses on the upper classes. With ancient civilizations images of children are rare and those of peasant children almost not existant. Even in our modern age, photographs tend to be much more available for the middle class and wealthy than the very poor who often could not afford photographs. And of coure catalogs focused on clients with money to spend. Readers need to bear this basic problem in mind when using HBC. We have, however, attempted to address clothing and other issues associated with the less-affluent classes. And on many HBC pages on specific styles you will find a social class paragraph. Theatrical Productions : Period clothing depicted in movies, television, and plays. The images available in this section have to be treated with considerable caution as many productions have not given any attention to historical accuracy. Other productions, however, have taken considerable care. In addition, many films have contemporary settings which generally provide very accurate views of boys fashions, although even here some caution much be exercised. Uniforms : Boys since the 19th century have worn various types of uniforms. The idea of wearing uniforms have varied greatly in popularity in different historical periods. Uniforms were very popular with boys at the turn of the 20th century. The idea of wearing a uniform, however, has become much less popular with most boys by the end of the century. Uniforms are most commonly associated with schools and youth groups, many of which have distinctive uniforms. Boys have also worn military uniforms. Vintage Clothes: Vinatage clothing is actual histotorical clothing from different historical periods. These garments are wonderful historical pieces offering information on materials, sewing and manufacturing techniqies, dyes and colors, styles, sewing and manufacturing techniques, trims, and much more. For this reason, we have included many vintage garments along with period photographs on our HBC pages. There are many important museum collections of vintage clothing. A few HBC readers have their own private collections. Vintage clothing is usually used garments, but some garments were never worn. Colecting vintage clothing has become a popular hobby in recent years. Many collectors like the fact that they can actually wear the items in their collection, although this primarily concerns adult fashions. Several firms offer vintage clothing over the internet.